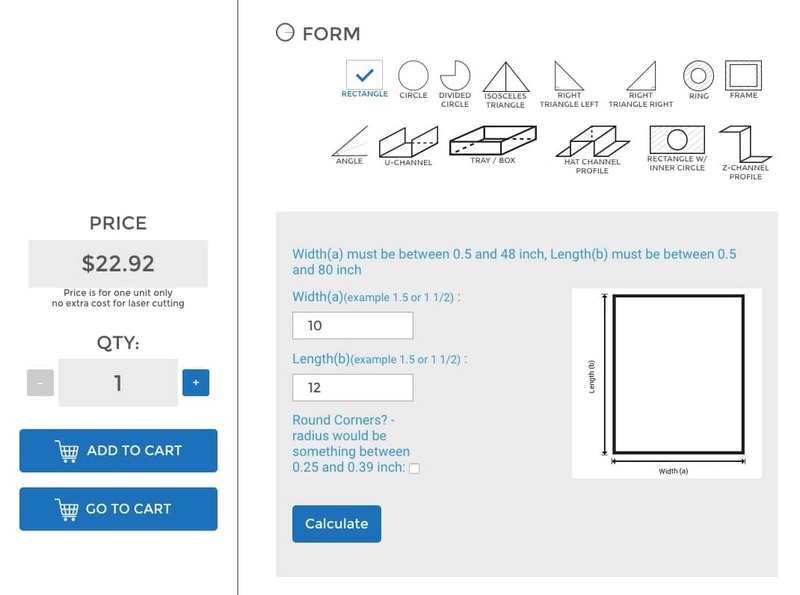 When you configure / build your individual metal part our system will tell you what you can expect when you order the custom cut sheet metal that you just have configured. All you need to do is to place the configured / build metal part (rectangle, circle, triangle or any other shape) into the shopping cart and then go to the shopping cart itself. 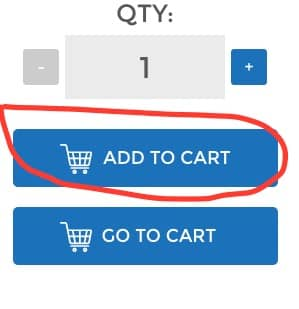 Place it in the cart by clicking on the "Add to Cart" button. 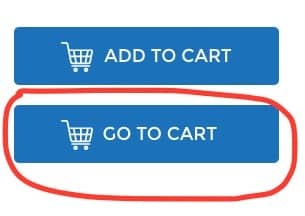 Next click on the "Go to Cart" button. 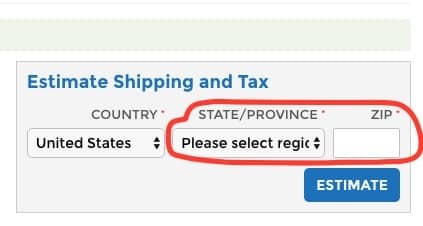 Enter your state and zip code and you will receive the shipping cost estimate for your configured sheet metal part as you have specified it. That's all. If you like what you see, continue to order the custom cut metal part you really need.